Home > US Sports > WWE > The Wyatt Family Must Live On! The possibility of splitting up the Wyatt Family has been talked about behind the scenes of WWE and it looks as if it could possibly be time for the trio split ways however when the stable breaks up, there’s no reason for them to completely destroyed like how the shield was. The Wyatt family should still remain close to each other and occasionally team up. The manner in which the Wyatt Family are portrayed calls for the Wyatt Family to remain linked in some capacity. Bray Wyatt is presented as a leader whilst his two ‘sons’ Luke Harper and Erick Rowan appear to be converts who have accepted his message, with the way the Wyatt Family has impacted WWE programming it wouldn’t make any sense for Harper or Rowan to turn on the family like how Seth Rollins turned on the shield but it also wouldn’t make any sense to have to group quietly disband like how many tag teams have done in the past. Splitting up the Wyatt Family isn’t really a bad decision considering the position that the group finds itself in and it’s very obvious that giving all three wrestlers a singles push will bring new options, however WWE must make sure to have the family connect at important points e.g. should Bray Wyatt ever win the WWE World Heavyweight Championship, it should be conducted in such a way that Luke Harper and Erick Rowan contribute positively to Wyatt’s title win. 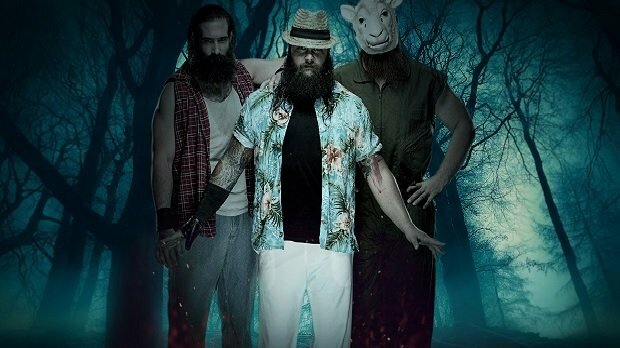 It would be a shame to have the WWE completely disband the Wyatt Family especially considering Bray Wyatt’s promo ability and Luke Harper’s wrestling skills. These things help the audience to connect with the stable, the Wyatt Family also succeed in giving off an aura that says they’ll never go away and all their work would more or less be undone by a disbanding. The method which which the WWE uses to handle the Wyatt Family’s split up can truly help to mould or break the Wyatt Family’s legacy, the trio of wrestlers have done everything the company has allowed for them to make themselves memorable and now it’s up to the WWE.